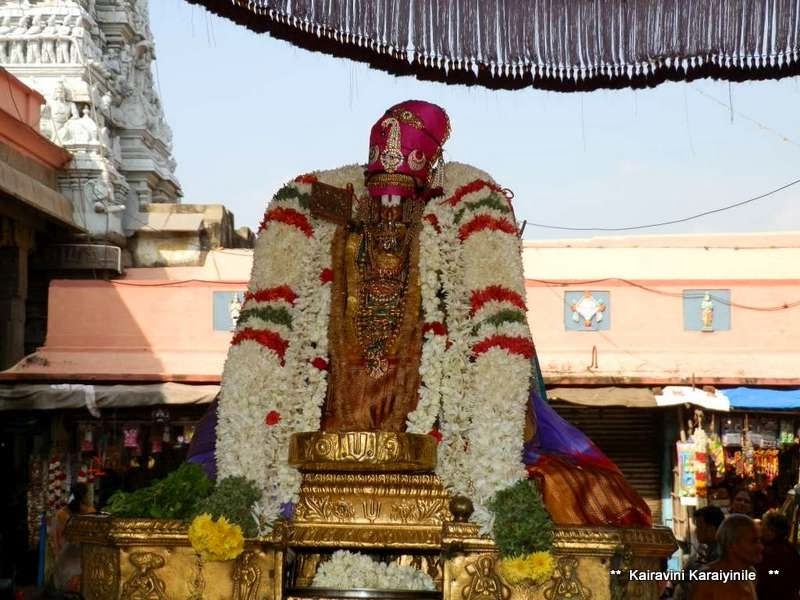 The eternal place of bliss – the abode of Lord Ranganatha – Thiruvarangam is ‘Periya Kovil’ for devout Srivaishnavaites. For us everything associated with the reclining Lord Ranganatha is ‘Periya’ (the Big ~ nonpareil) ~ the Lord here is Periya Perumal; his consort is Periya Pirattiyar; the holy bathing [Thirumanjanam] in the month of Aani is ‘Periya Thirumanjanam’ ……….. the Acharyar known as ‘Periya Jeeyar’ is our Swami Manavala Mamunigal who spent a major portion of his life at Thiruvarangam serving the Lord. It is said that Manavala mamuni's devotion to Nammalvar, Ramanuja and to his own Acharya grew as he studied the Alvar's hymns and rahasyas at Alvar tirunagari. 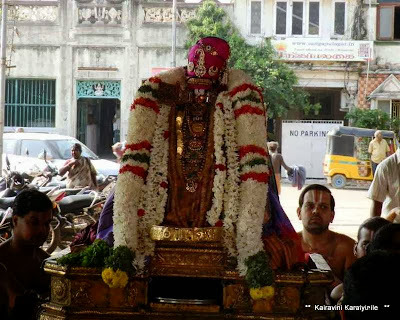 Sri Manavala mamunigal’s first work is “Yatiraja Vimsati” twenty sanskrit stanzas in praise of Sri Ramanuja. Upon reading this, Tiruvaimozhip pillai gave him the title Yateendra Pravanar. 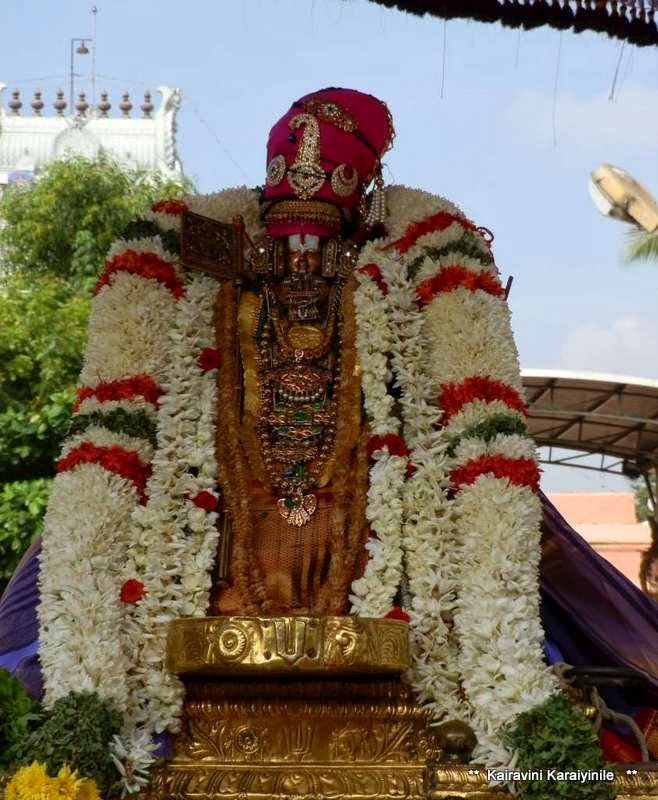 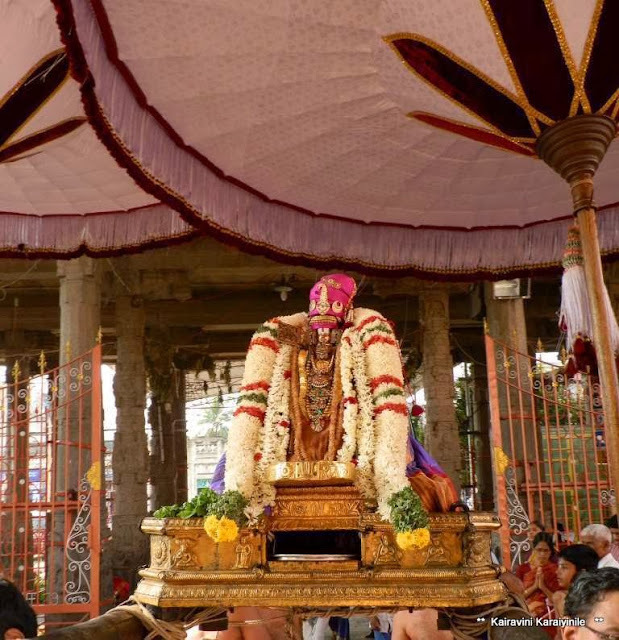 Sri Manavala Mamunigal’s uthsavam is to conclude – tomorrow is ‘Sarrumurai day’. On the penultimate day, today (6th Nov 2013) – there is purappadu for Swami Mamunigal both in the morning and evening.